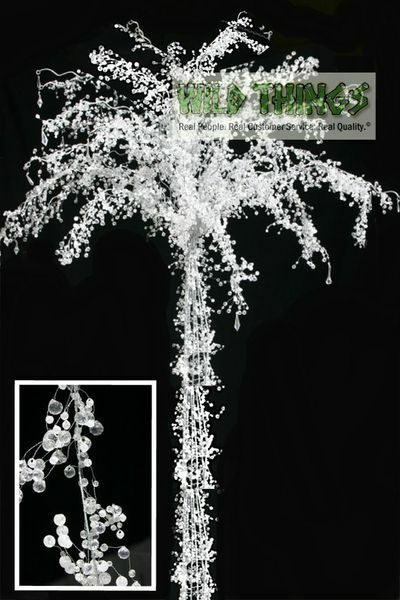 Our ever "growing" selection of trees includes arty metal branched trees with or without crystal garlands, realistic bare branched metal trees with removeable glass candle holders, and our too-good-to-be-true Phoenix palms. Our metal trees are made to customize for each occasion with the simple addition of beaded garlands, silk foliage, or flowering branches. After the event, our trees disassemble for easy transportation and storage.